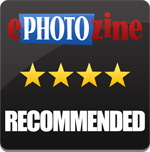 Gary Wolstenholme reviews the Canon EF 35mm f/2 IS USM lens. This wide angle prime lens from Canon sports a fast maximum aperture of f/2, an ultrasonic focus motor and image stabilisation. This lens is currently available for around £765, which seems a little steep. In this review we'll take a look at whether the performance justifies the price. 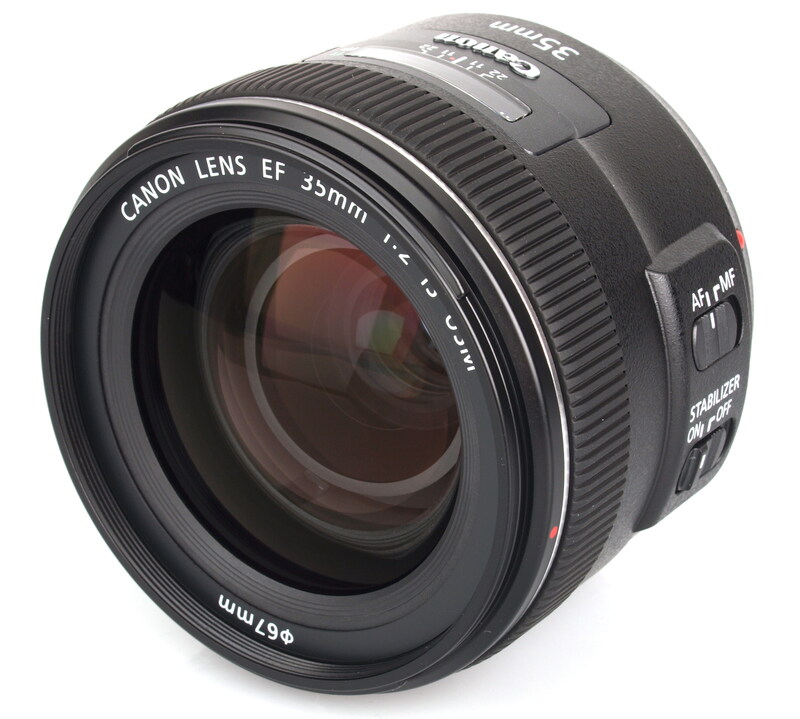 This lens is designed similarly to Canon's latest high end consumer grade lenses, with the barrel being constructed from high quality plastics, accented with a silver ring and finished with a metal lens mount. The lens feels very well put together whilst the plastics help to keep the weight below 340g. 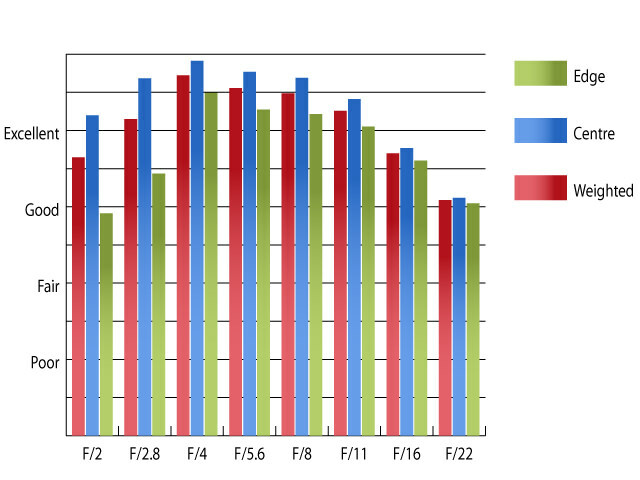 The lens balances well on the Canon EOS 6D used for testing, making a reasonably compact and lightweight combination. Autofocus is powered by an Ultrasonic motor, which moves lens elements quickly, resulting in fast autofocus. Manual focus adjustments can be made at any time, whether the lens is set to AF or MF. The focusing ring has a smooth action and is heavily dampened. As a result, a reasonable amount of force is required to move the focusing ring when applying adjustments, which may hamper doing this. As focusing is performed internally, the 67mm filter ring doesn't rotate. This is ideal for use with graduated and polarising filters. Closest focus is 24cm, which is great for shooting in cramped environments and even for the occasional close up. Canon claim that the image stabilisation system this lens is equipped with will allow sharp images to be taken hand held at shutter speeds up to four stops slower than would be possible without. With care, sharp hand held images are possible around half the time with shutter speeds as low as 1/5sec, which is around three stops slower than the usual rule of thumb would allow. Sharpness is already excellent in the centre of the frame at maximum aperture, although the clarity towards the edges of the frame lags behind, just falling short of good levels. Stopping down the aperture as far as f/4 improves clarity across the frame, resulting in outstanding sharpness across the frame. Chromatic aberrations are a little higher than you might expect from a lens of this type. 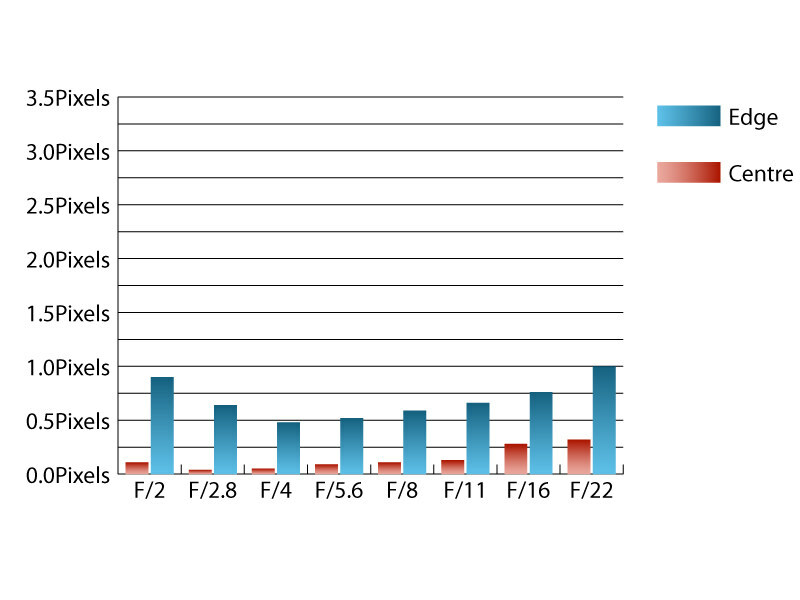 Fringing is strongest at f/2 and f/22 where chromatic aberrations approach one pixel width in size. This level may start to become noticeable, especially around high contrast edges towards the edges of the frame. Falloff of illumination towards the corners of the frame is quite pronounced at maximum aperture. At f/2 the corners are 2.67 stops darker than the image centre and visually uniform illumination is achieved until the aperture is stopped down to f/5.6 or beyond. Only a mild level of 1.18% barrel distortion is present, which shouldn't pose too many issues for normal picture taking. However the distortion pattern is not completely uniform across the frame, having a slight wave to it, which may make applying corrections in image editing software afterwards a little more tricky. No lens hood is supplied as standard by Canon, which is a shame. Even so, this lens seems reasonably resistant to flare, so it should be possible to get by without a hood for all but the most extreme light conditions. Canon's latest lens releases all seem to be priced rather high at launch, with no sign of the prices dropping as supply is established. This lens certainly doesn't buck that trend, being priced at around £765. That makes it only around £250 cheaper than Canon's flagship 35mm f/1.4L, which is available for just over a thousand pounds. Third party offerings at the same focal length include Sigma's 35mm f/1.4 EX DG HSM. Although this lens lacks an image stabiliser, it does have a faster maximum aperture and can be picked up for around £740. Samyang's 35mm f/1.4 is another alternative. 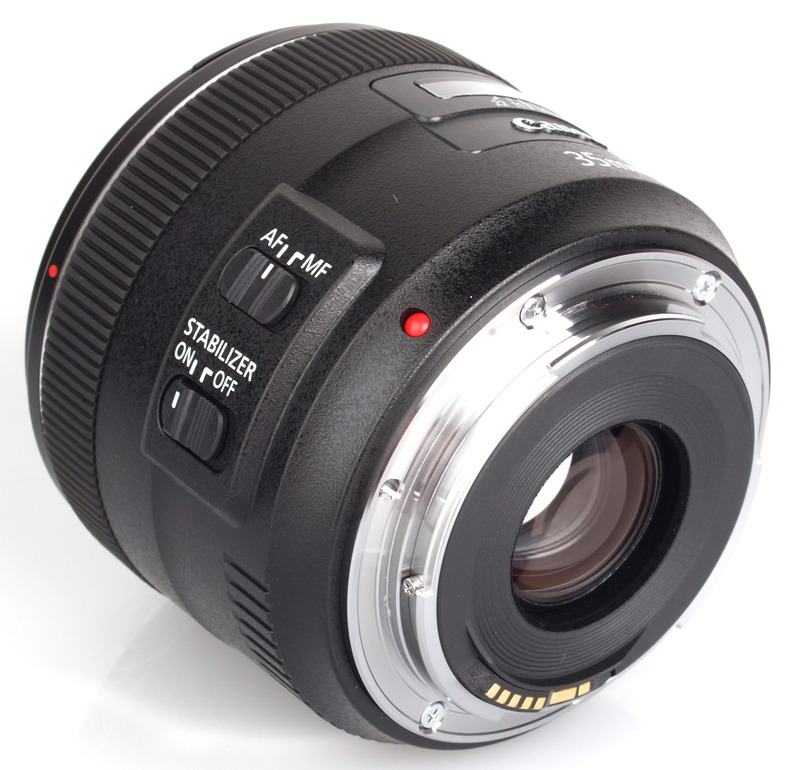 This lens has a fast f/1.4 maximum aperture, but lacks image stabilisation, autofocus and any electronic coupling with the camera. It can be bought for around £380 though. With this lens, Canon have produced something that performs very well indeed, but then you would expect that for the asking price. It may be questionable whether or not having image stabilisation available at this focal length really is a killer feature, as it will really only be of use for photographing static subjects, unless motion blur is required for creative effect. With alternatives that have a faster maximum aperture being available for the same, or slightly more money, it does make it difficult to see the value in this lens. 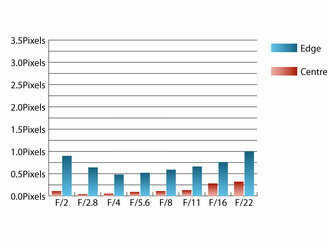 If the price drops as supply of the lens settles down, then it will make more sense in Canon's lens line up. 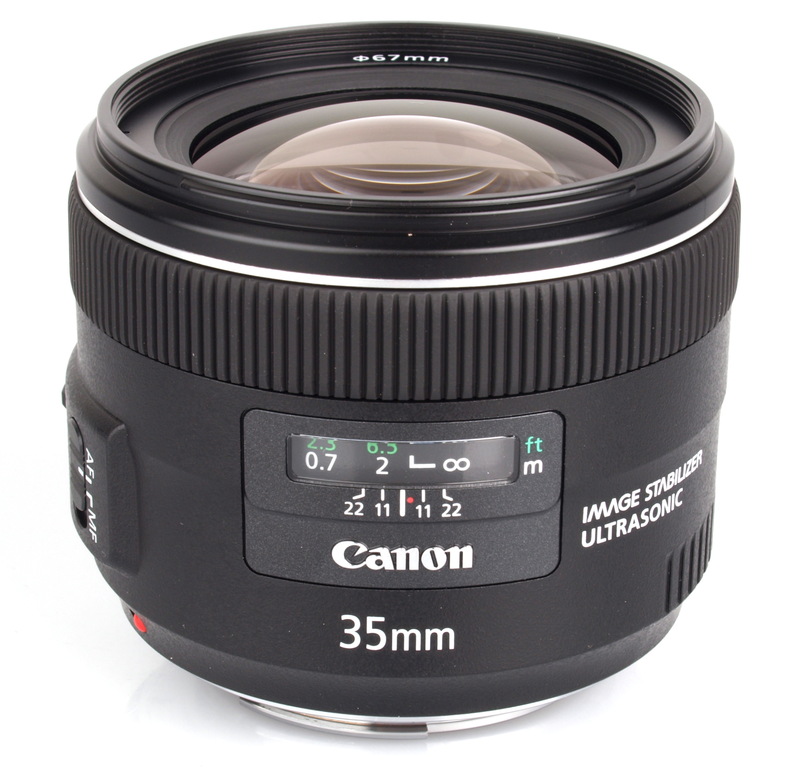 The Canon EF 35mm f/2 IS USM lens offers excellent sharpness and good build quality. Canon do seem to have lost the plot on price lately. Judging by the price premiums between IS and non IS versions of certain Canon lenses I think I'd rather have no IS and a better price...:( Oh and I supect it's not a proper ring USM either since it doesn't seem to have AF/M marking on the AF switch - really not good enough at this price level. Oh and I supect it's not a proper ring USM either since it doesn't seem to have AF/M marking on the AF switch - really not good enough at this price level.